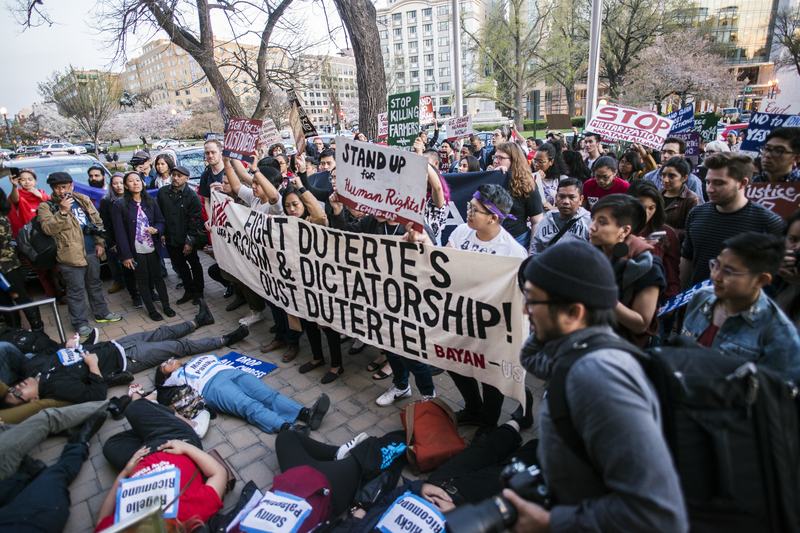 BAYAN USA featured on LOUD & CLEAR Radio: Peace Talks Resume in the Philippines: Will it be Different this time? Talks began in the Philippines this week, between the administration of President Rodrigo Duterte, and communist rebels who have been struggling against the government for almost 50 years. Click here for original post on Loud & Clear. Radio Sputnik’s Loud & Clear spoke with Bernadette Ellorin, chairperson of BAYAN-USA, about the complicated history of peace talks in Manila and the potential for this round of talks to end successfully. She added that the Filipino government’s participation in the US War on Terror, and the labeling of the New People’s Army as a terrorist group, also contributed to the deterioration of talks. She said this categorization is counter to the experience Filipino’s have with the NPA. Becker asked if the Philippines should expect interference from the US in their peace talks.